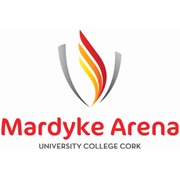 In order to assist the management of the Mardyke Arena UCC in identifying how we can improve our Children Activity Programmes going forward, we would appreciate your feedback through the following questionnaire. The questionnaire will only take approx. 5 minutes to complete. Information gathered through the questionnaire will be strictly confidential and will only be used in developing our Children Activity Programmes at the Mardyke Arena UCC.